After losing their opening three games the quarter-finals of the Natwest t20 Blast seemed a long way off for 2013 Champions Northants, but after turning their campaign around, the Steelbacks host Yorkshire on Friday night knowing victory will see them put one foot in the last eight. Since defeats at Durham and at home to Worcestershire and Birmingham, the Steelbacks have won six and lost one, with one no result to sit third in the North Group a point clear of Lancashire and Nottinghamshire but with an extra game remaining. Their side has had no single stand-out performers but a number of players chipping in when required and developing a knack of winning close games, including three final ball victories, all when fielding, with the likes of Rory Klienveldt and Muhammed Azharullah proving a strength at the death. David Ripley’s men have used only 14 players so far in the group stage, including Rob Newton’s single outing, with five ever-presents and another three having played in ten of the eleven games thus far, in stark contrast to the 21 Yorkshire have fielded, a number that could increase on Friday night. 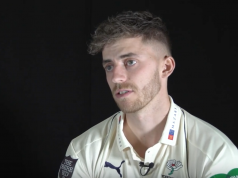 While they continue to be the dominant force in the County Championship, white ball success has proved more of a struggle for the White Rose, despite the big money signings of Australian World Cup winning duo Glen Maxwell and Aaron Finch. The Vikings campaign was all but ended with defeat to Worcestershire on Tuesday night after just four wins from 12 games, and with attention at Headingly switching back to the defence of their Championship title, they could name up to four debutants in a youthful squad. Josh Cobb has stepped up to open the innings in the absence of David Willey through England commitments and then injury, and has formed a formidable partnership with Richard Levi, scoring 330 runs including three half centuries, while his off spin provides a handy option for Alex Wakely. Glenn Maxwell has so far failed to live up to his billing as the ‘Big Show’, hitting an unbeaten 92 against Nottinghamshire but only managing 120 runs in his other 10 innings. With the exception of Jonny Bairstow the Australian will have likely played more t20 games than the rest of the young side combined, and they will need his experience to come to the fore. Northants are set to name an unchanged team for the fourth successive game with David Willey the only absentee after sustaining an ankle injury colliding with bowler Jack Shantry whilst batting at Worcester. Ben Duckett is included despite the 20-year-old being convicted of drink-driving earlier this week. Northants Steelbacks squad: Alex Wakely (c), Muhammed Azharullah, Josh Cobb, Steven Crook, Ben Duckett, Rob Keogh, Rory Kleinveldt, Richard Levi, Adam Rossington, Olly Stone, Graeme White, Saif Zaib. With their hopes all but over Yorkshire will go with youth, with captain Andrew Gale and Tim Bresnan rested, and Adil Rashid not included despite not being named in the England side for the second Test. Ben Coad, James Wainman and Matthew Waite could all debut, as could former Essex spinner Tom Craddock, joining Karl Carver and Ryan Gibson who played their first games on Tuesday night. Yorkshire Vikings squad: Jonny Bairstow, Karl Carver, Ben Coad, Tom Craddock, Matthew Fisher, Ryan Gibson, Jack Leaning, Alex Lees, Glenn Maxwell, Liam Plunkett, Will Rhodes, James Wainman, Matthew Waite. It is set for a fine evening in Northampton on Friday night, with sun breaking through lunchtime cloud and temperatures a pleasant 20 degrees. The same wicket will be used as last Sunday’s clash with Leicestershire that saw Northants chase a ten-over target of 112 with ease, with high scores a regular occurrence at Wantage Road this season.